Combatting those late night cravings—Healthy after dinner snacks. It’s 9:30pm and despite eating a wholesome dinner a couple of hours ago, you’re itching for another snack. We all know that late night snacking isn’t the best idea for our waistlines, but there are healthy choices you can make which won’t undo your balanced diet from the day before. Tune in to discover the healthy snacks you should be keeping up your sleeve for when those pesky late night hunger pangs strike. If you’re eating late at night, try to opt for a light healthy snack over a whole second meal—if your body is busy digesting food, it could actually keep you awake. Avoid foods that are spicy, sugary or very fatty, and instead go for natural snacks which are easy to digest. 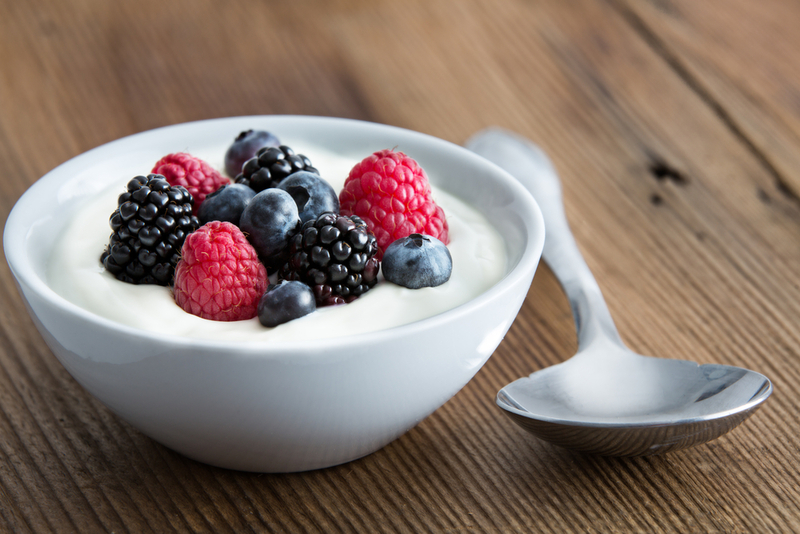 Berries and greek yoghurt: berries are surprisingly low in sugar for a fruit, so teaming them with some all natural Greek yoghurt is a perfect healthy snacking choice. We recommend keeping a ziplock bag of berries in the freezer, and adding a couple of drops of Stevia (or any other natural sweetener) to the yoghurt if it’s not sweet enough for your palate. Dark chocolate: despite the sugary, fatty nature of regular chocolate, all natural dark chocolate is actually a fantastic healthy option if you’re craving a sweet hit. Loaded with disease-fighting antioxidants (it’s one of the best sources on the planet! ), a couple of squares a day is a tasty and nutritious diet addition. Crackers with nut butter: nuts are a smart option because, thanks to the healthy fats in them, a little goes a long way in terms of filling us up. A couple of wholegrain crackers topped with creamy nut butter will tie you over until morning without being an unnecessary calorie bomb. 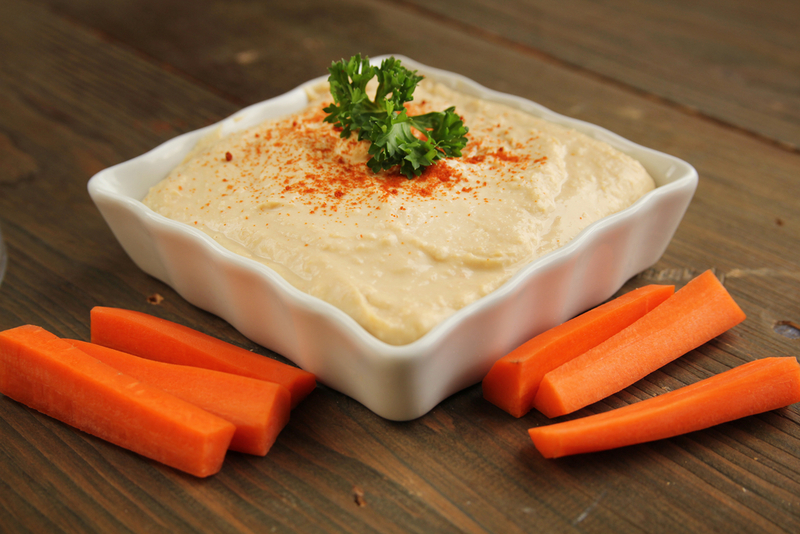 A carrot dipped in hummus: crunchy vegetables like carrots force us to chew and chew, sending a signal to our stomach that we’re full. Team with some hearty healthy hummus, and you have yourself a brilliant after-dinner snack. Banana sprinkled with cinnamon: bananas get the health tick for snacking any time of the day, including after dinner. Thanks to their high levels of fibre and potassium, you receive a boost of goodness while filling an empty tummy. Sprinkle with cinnamon for a hit of healthy warming spice. Natural popcorn: we’re not talking about the store-bought processed kind! Natural popcorn made from scratch is a delicious healthy snacking option which is light in calories, plus you can mix up the flavour by adding sea salt, spices or a knob of real melted butter. Egg: a great source of protein, healthy fats and nutrients, eggs are ideal for snacking on after dinner time. Serve boiled with a sprinkling of salt and pepper, or scramble with a tablespoon of grated cheese mixed through. Have you tried any of our favourite healthy after dinner snack ideas? Which is your favourite?